From business meetings to brunch with friends, we're bringing something new to historic downtown Conroe. 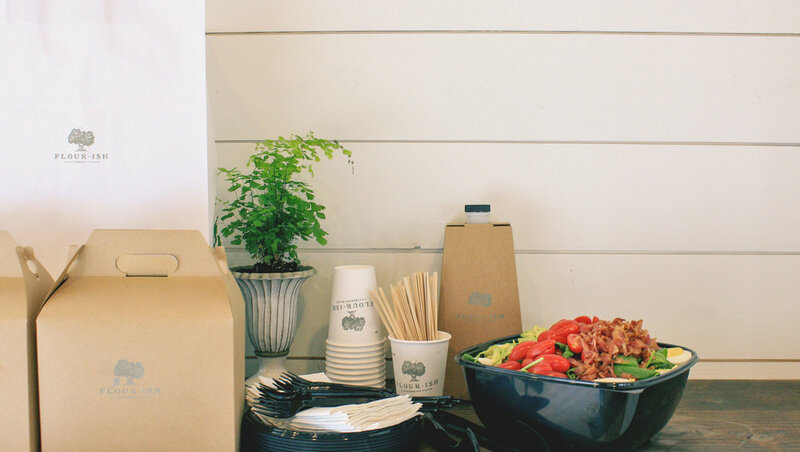 Flour-ish Catering for any size and every occasion. There are a lot of great-tasting reasons to spend your morning at Flour-ish. With our Lunch Duet™, combine any two half portions of our salads, sandwiches or soups. Original recipes using only the highest quality ingredients. The Perfect Cup, Every Morning. We brew only the best, carefully sourced coffee from Quills. Give something good to eat (and drink) to someone special. ASK AN ASSOCIATE ABOUT GIFT CARDS TODAY!